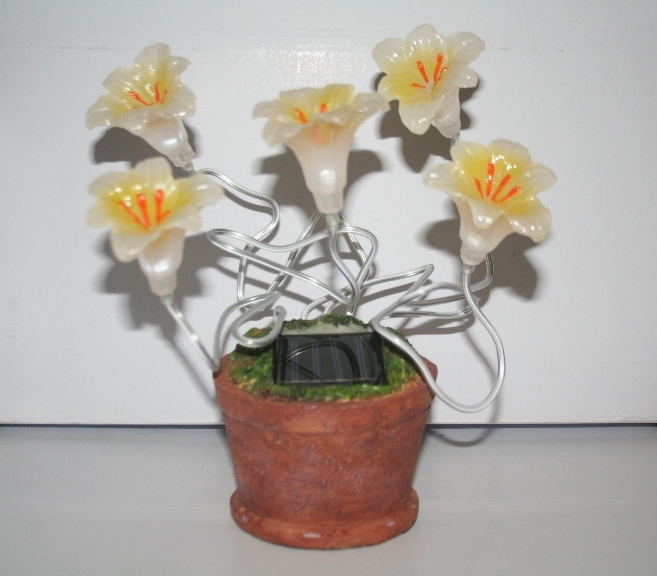 Add this charming set of flashing solar Lilies to your deck, patio, garden or any favorite outdoor setting. Each flower stem is adjustable and they are placed in a pot to make it ideal for any garden decor setting. During the day the sun will shine on the solar panel charging the installed battery, then when night falls these solar lilies will illimunate providing a blinking light up to 8 hours at night. Light Duration: 8 - 10 hours Approx.